.ikcha. handcrafted jewelry: 1/5 days of DEALS! - WE HAVE WINNER! 1/5 days of DEALS! - WE HAVE WINNER! 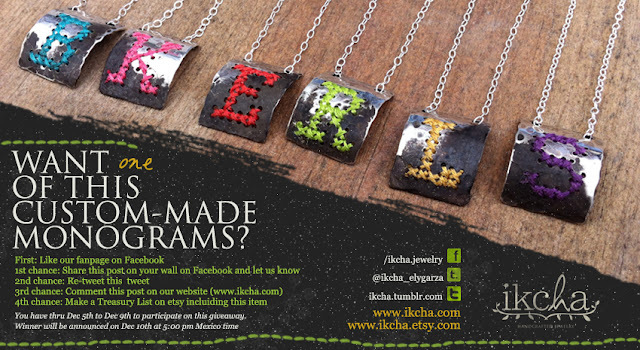 Here's the 1st day of DEALS at Ikcha Handmade jewelry shop! 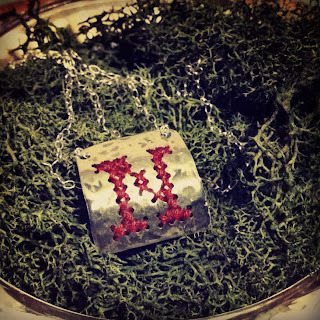 You can win a silver necklace monogram with handmade embroidery in your favorite letter and color. Don't forget to include a mail, facebook or twitter account, so we can contact you back and assign your participation number. Thanks to everyone to participate! 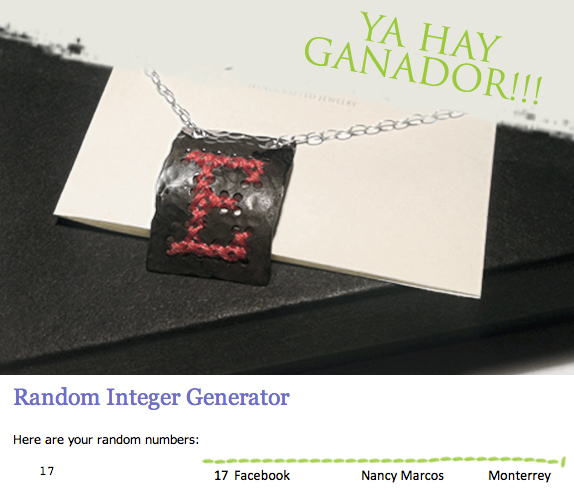 The Winner is number 17: Nancy Marcos from Monterrey, Mexico. "All I want is to stand in a field and to smell green, to taste air, to feel the earth want me, Without all this concrete hating me." ... elygarza: mexican designer with an extreme passion of dreams, life, jewelry, art, fashion, friends, music, air, curiosities. love inspiring and creating as an interpretation of what surround us. ... ikcha, a compound word that speaks of the wind of freedom, the inspiration that gets into the shape and become alive. symbol of the soul, culture and art. - a blog where you can see all the ideas, moments, feelings that surround ikcha. - Thanks for being here!